You’re not “The Real Parent.” How many times do stepparents hear that phrase? You’re not “The Real Parent.” How many times do stepparents hear that phrase? It comes from stepchildren, biological parents, friends, extended family, teachers and generally anyone in society who hasn’t had the first-hand experience of being a stepparent. It’s a verbal reminder of what every stepparent knows: that we often have most—or all—of the responsibilities a “Real Parent” has, but without the inherent or legal rights of biological parents. We are expected to give our love, time and often money, as Real Parents do; to understand and always put the relationship of the biological parent and child first (sometimes above the marriage); to provide our stepchild with a positive role model but defer to the biological parent on matters of house rules and discipline. It’s a constant balancing act of being involved, but not too involved; loving, but respectful of the biological parent’s role and our place in the parental hierarchy. Raising children in a blended family can be challenging, frustrating, and overwhelming at times. It can be a real test of endurance to manage to stay together through some of the tough times that can erupt with your stepchildren. It can also be a time of growth and lasting relationships—but as every stepparent we know would agree, it’s not always easy. Many stepparents feel resentful because they can’t stand an “Ex,” guilty for not liking their stepchild’s behavior (or sometimes personality) and frustrated with a spouse who just won’t get “on the same page” about parenting. Statistics show that the most common type of family in America today—65 percent of us—are part of a blended family where there are biological and non-biological parents present. Complex and often misunderstood, it offers unique challenges—and the opportunity for rich emotional rewards. Was the expectation realistic or fair? Did the other person have any idea you had that expectation? Is it an expectation you can let go of, or is it important enough to discuss as a family? Remember, you can only control yourself and your own reactions. When you have expectations for others to behave or feel a certain way, you have no control over that. Also, be mindful of the expectations you have of yourself. Don’t be too hard on yourself. We all have expectations for ourselves as parents. Rarely do we always live up to them 100 percent of the time. If you don’t like how you’re responding to your stepchild, take steps to change things—within yourself. Give respect…even if you don’t always receive it. This doesn’t necessarily mean you respect a behavior, it means you respect your stepchild as a person. One biological parent said, “My son was always terribly disrespectful to my second husband. He would give dirty looks, ignore him if my husband said anything to him and in general just treat him with utter disrespect.” We recommend teaching your stepchild what you hope will be a lesson in morals and values, by remaining respectful toward them. This is extremely challenging and requires patience. When you’re responding, do not give in to requests that your stepchild hasn’t earned. Ex: This stepfather worked hard at treating his stepson with nothing less than respect. But when his stepson would ask for money or to get a ride to a friend’s house, this stepdad would simply reply, “You know, I’d like to do that for you. But you treated me pretty terribly earlier today, so I’m not going to be able to do that. Maybe next time.” Stay calm and polite but send the following message: In real life, if you treat someone disrespectfully, they don’t do favors for you. This is an excellent way to role model respect for both your stepchild and yourself. As in all parenting – with biological or stepkids – sometimes we don’t see the payoff in the short run, but these kinds of lessons last a lifetime. Identify your intentions. We’ve worked with couples where it’s clear there are different intentions. A biological parent may have the intention that “We’re all going to come together with everyone’s best interests in mind and build a family.” The new spouse may just plain dislike that stepchild and have the intention, “He needs to get out of my house as soon as possible.” These are competing intentions and expectations that will lead to conflict between everyone in the family, including within the marriage. If it feels like there are competing intentions occurring, communicate with your mate. You may need to speak with a therapist who can help you find common ground. Remember why you’re there. Many stepparents have expressed feeling trapped in a situation with a stepchild whose behavior is awful: the kids may break the rules constantly, be disrespectful, and possibly even physically aggressive. Whenever a child behaves this way, even biological parents can feel trapped and terrified. You’ve made the choice to come together with another person and form this family. Why? Most of the time it’s out of love. Remembering that you are choosing to be in this family—and focusing on the “why”—can help lighten feelings of resentment or helplessness and remind you why you stay. Agreeing on how you will discipline your kids—and coming up with a plan together—is a good way to go about getting on the same page. Many families have a system where the biological parent will discipline his or her own child, with the stepparent’s support. This works as long as the two of you agree on a fair method of discipline for all kids. But remember, all families are different and have different needs. One stepchild we saw in therapy actually complained about her stepfather never providing any discipline for her. She felt he favored her half-brother over her because he would discipline his own son, but avoided giving her consequences or setting limits with her. Although this is a rare case, it brings up the importance of finding what works best for you, your spouse and your stepchildren. Communication between you and your mate is essential for a successful family, in any situation. 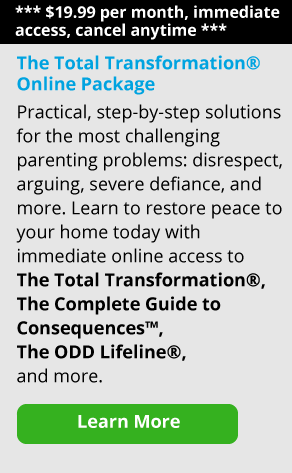 Do you agree on parenting styles, discipline techniques, rules of the house and expectations? If you can talk about these things before joining a family, that’s the best case scenario—but it’s never too late to start. Blended and stepfamilies can be tough at times, but they can also be an opportunity for unique and loving relationships. If you’re lucky, you’ll get acceptance along the way. Sometimes, surviving through conflicts can bring people closer together, but it takes commitment, forgiveness and an open heart.